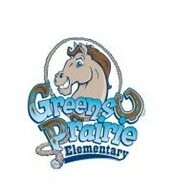 Greens Prairie Elementary is using Smore newsletters to spread the word online. Welcome back Mustangs! As we kick off a new year, I can't help but reflect on what a wonderful start to the school year we have had. I want to pass on my sincere appreciation for all that you, the parents and staff of GPE, have done to make this year, and my job as PTO President, so enjoyable. Because of your support, we have been able to do some wonderful work, and provide some very necessary tools and supplies to GPE. I also want to thank everyone, especially our hardworking volunteers, for helping to make our very first Breakfast with Santa and our Third Annual Mustang Market such a huge success! Our parents and guardians, and our wonderful GPE staff, went above and beyond to show us all what Mustang Spirit is! As a PTO group, we are here to serve our students, families and faculty. We have had a little break, but now we are all looking forward to the second half of the school year, and so many fun events coming up. The Spring semester will be full of family fun! We will kick it all off in January with a Spirit Night at Double Dave's Pizza on the 14th, and our very first Family Fun Movie Night on the 24th. 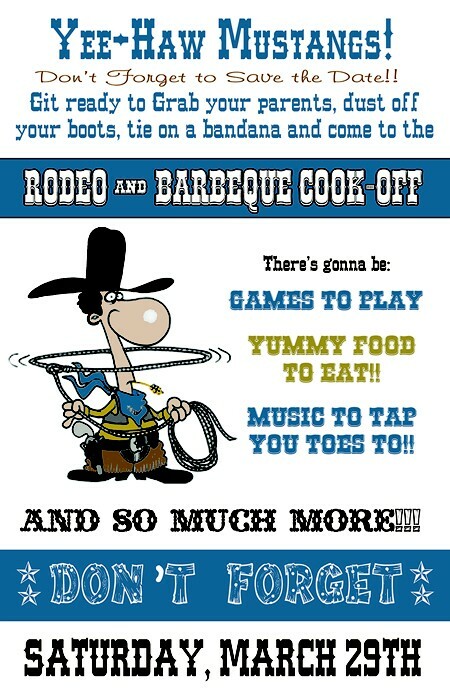 The PTO will also be very busy for the next few months, planning our Third Annual Mustang Rodeo, BBQ Cook-Off and Craft Fair. Details on all of these great activities can be found throughout this newsletter, and on our website, http://www.greensprairiepto.com/. Spring will also bring a lot of pre-planning work for the PTO, to get ready for the next school year. To that end, we will be looking to fill several board and committee positions for 2014-2015. If you have any interest in joining our wonderful group of volunteers, or taking on a larger role in the PTO, please don't hesitate to contact me. I hope you all had a wonderful, relaxing, and family-filled holiday break! Let Double Dave's do dinner for you! Dine-in, Carry Out or Delivery! Just remember to tell them when you order it is for Greens Prairie Elementary- and give them your receipt! 20% of your order is given to GPE!! Bring chairs, blankets and snacks!!!! Please Note: This is not a drop off event, parents must supervise their children. 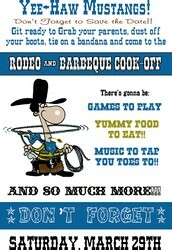 Look for the forms for the Craft Fair, Baking Contests, Sponsors, and BBQ Cook-Off coming soon! We still need candid photos for the yearbook! If you have any photos of class events, musicals, CAMP, or field trips...please upload them to our Balfour page. Instructions can be found on the PTO website. REMINDER: Deadline to order your yearbook is February 28th. Order forms can be found on the PTO website! We can not guarantee a yearbook if you do not pre-order. 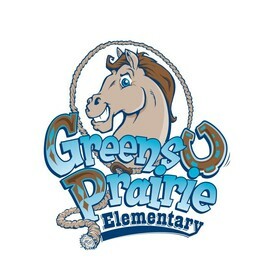 Questions regarding Greens Prairie Elementary PTO website, Facebook Page or Newsletter, please contact our Communications Coordinator, Stacey Nehring snpnehring@yahoo.com.